The National Capital has a wealth of things to see and do - far too many to list here. This year HIAS 2019 is the week before the commencement of Floriade - a free, iconic Canberra event which showcases one million flowers in bloom. Floriade opens 14 September 2019. To discover what is happening during your visit, why not check out the Visit Canberra website. 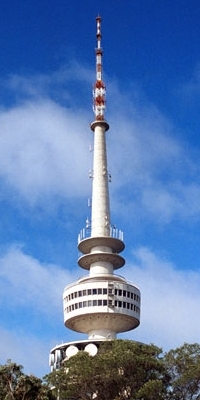 The weather in Canberra during September is mild, with an average maximum temperature of 12°C. The inland location and elevation (around 580 m above sea level) give rise to coolish nights and the mean daily minimum temperature is close to 4°C. Average rainfall in November is 65 mm. Public transport is limited to buses and because the city is spread out, with meagre weekend services and no transport after about 10pm, visitors wishing to travel away from the vicinity of the University, city centre and conference accomodation, are best to hire a car. There is plenty of parking at the tourist sites and the road system is excellent and uncongested; to hire a car, drivers must be 21 years of age and hold a valid driver's license, sometimes in conjunction with an international driver's permit. Transport Canberra bus routes cover most tourist attractions from four town centre bus interchanges: City, Woden, Tuggeranong and Belconnen. A day bus pass is available from bus drivers or the tourist information centre. Cycling is also a popular means of transport in Canberra and there is an extensive network of bicycle paths around the city. Taxi ranks are available in most major areas of the city.